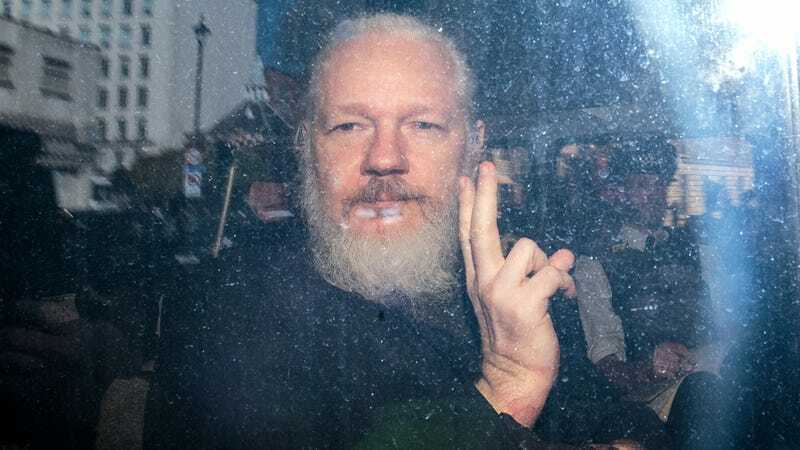 WASHINGTON—In the wake of the WikiLeaks founder’s arrest by British authorities on behalf of the U.S. for charges stemming from the publication of classified military documents in 2010, members of the American media condemned Julian Assange Friday for the reckless exposure of how they could be spending their time. “We denounce Julian Assange in the strongest possible terms for his negligence in publicly demonstrating the kinds of work journalists could actually be doing to investigate government malfeasance and hold the powerful accountable,” said Washington Post editorial page editor Fred Hiatt, speaking on behalf of many of the leading members of the media who castigated Assange for never once considering the harm that bringing rampant government criminality to light no matter the consequences could do to other news publications’ reputations. “It’s abundantly clear that Mr. Assange was focused on exposing documented evidence of U.S. war crimes in Iraq and Afghanistan without so much as a thought for the journalists who faithfully parroted the U.S. military’s talking points when we could have been investigating information that ran contrary to that narrative—does he realize how that makes us look? The fact that he’d just publish information vital to the public interest from primary sources exactly as it was written instead of working with government officials to omit the most damaging parts in exchange for keeping access channels open is simply beyond the pale. The fact that the American public now knows what we’re actually doing day to day is incredibly harmful to this nation.” Media industry leaders did, however, admit that they could probably stand to go easier on Assange where the sexual assault allegations made against him were concerned.